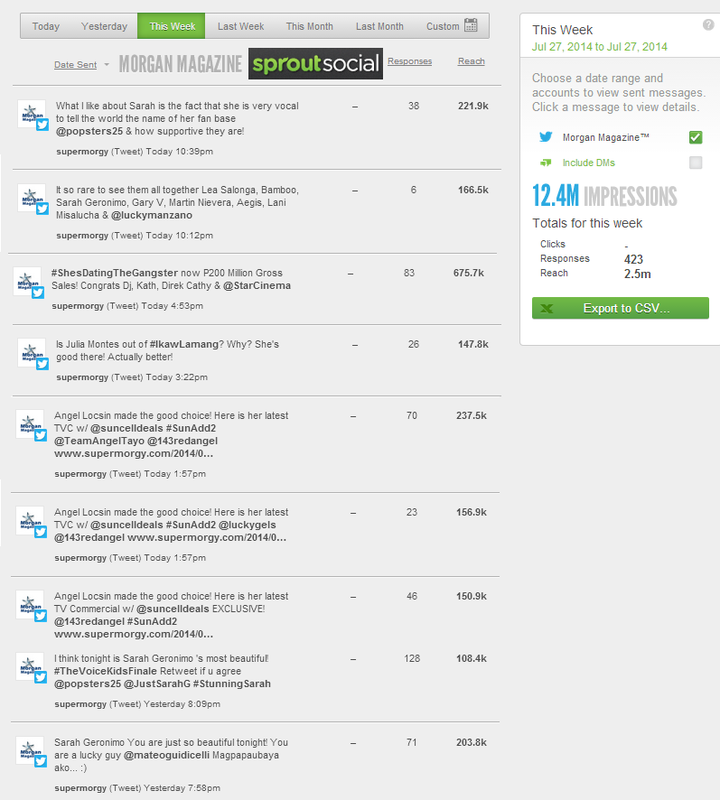 Here is the latest online report of Morgan Magazine courtesy of Sprout Social Reporting tool. Over 12 Million Impressions for 2 days! Leading the reach are tweets about Daniel Padilla and Kathryn Bernardo for #ShesDatingTheGangster, Sarah Geronimo and Matteo Guidicelli for #TheVoiceKids, Angel Locsin for #SunCellular, Julia Montes for #IkawLamang and Luis Manzano for #TheVoiceFinale.